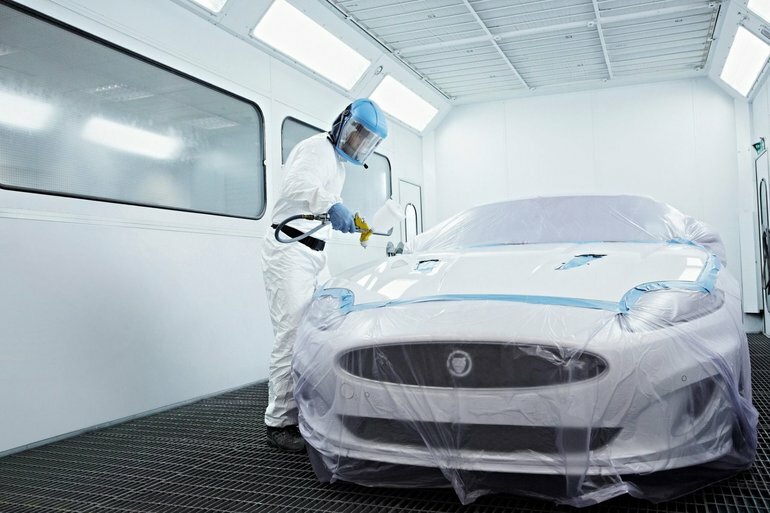 We have established the Jaguar Aluminum Repair Network to service collision repair needs for the entire mode line-up. Each authorized Jaguar Retailer has been aligned with a Jaguar Authorized Aluminum Repair Centre. It is essential that all body and paint repairs, whatever their nature, be conducted by an authorized repair centre. Non-structural repairs: these are cosmetic in nature, consisting of ding-and-dent repairs, panel replacement and paintwork. Structural repairs: these involve cutting welding, bonding of metal, straightening of frame damage and riveting. The Jaguar Aluminum Repair Network is staffed with certified technicians and equipped with Jaguar-tested and approved tools and equipment. The Jaguar Aluminum Repair Network is the only source for genuine Jaguar aluminum repair parts, which carry a Jaguar parts limited warranty. Refer to your Owner’s Handbook for details. Complimentary transport to the nearest structural repair centre, during the new vehicle limited warranty period, in the event that structural repairs are required to and aluminum-bodied model. If your vehicle is in need of repairs, or for more information, please contact your Jaguar Retailer. Your Retailer along with the local Jaguar Authorized Aluminum Repair Centre will assess the damage and identify repair needs.